I love to cook and I love to make cakes but I’ve never been able to make a proper “Crostata” which is my kids favourite. Two years ago I invited friends for dinner and lovely Francesca brought a Crostata for the kids. They loved it so much that I asked her the recipe and when I tried it was as good as the one she prepared. 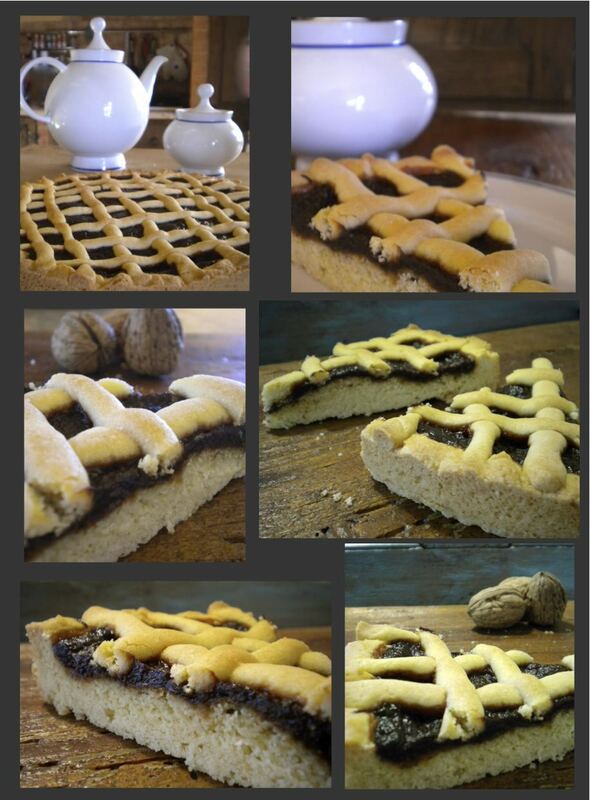 Now I make Crostata at least once a week, it’s a perfect dessert but it makes delicious breakfast as well. For kids birthday parties it’s a must and I usually do three different Crostata: plum, blackberries and strawberries. In a bowl mix the sugar with the butter and the salt using your hands or a fork. 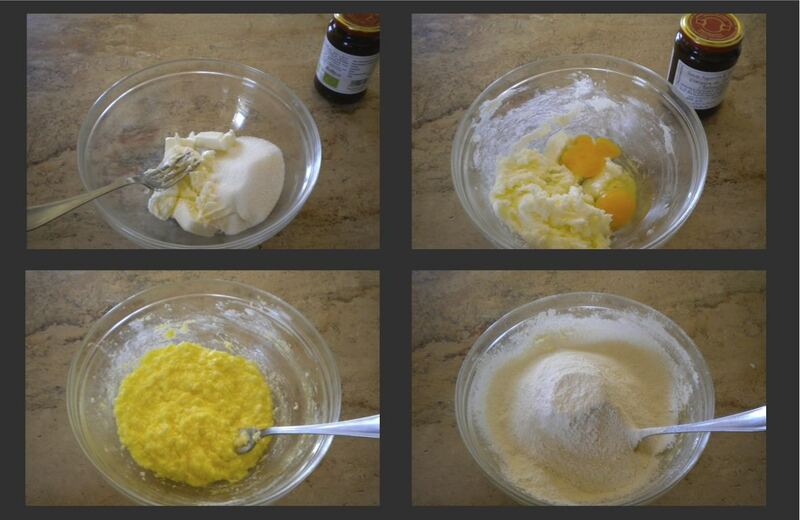 Add the egg and the yolk and mix with the fork,. Mix the flour with the baking powder and combine all the ingredients, handling them as little as possible to keep the butter from melting. Put it in the fridge for at least an hour. Once the dough has rested, butter a flat-bottomed pan about 12 inches (30 cm) across and preheat your oven to 356° F (180° C). Roll the dough out somewhere between a quarter and a half inch thick; work quickly, without overworking the dough in case it becomes crumbly upon baking. Set aside the cuttings to make decorative strips. Spread jam on the dough in the pan. Re-roll the cuttings, make rolls and lay them in a crosshatch pattern over the jam. 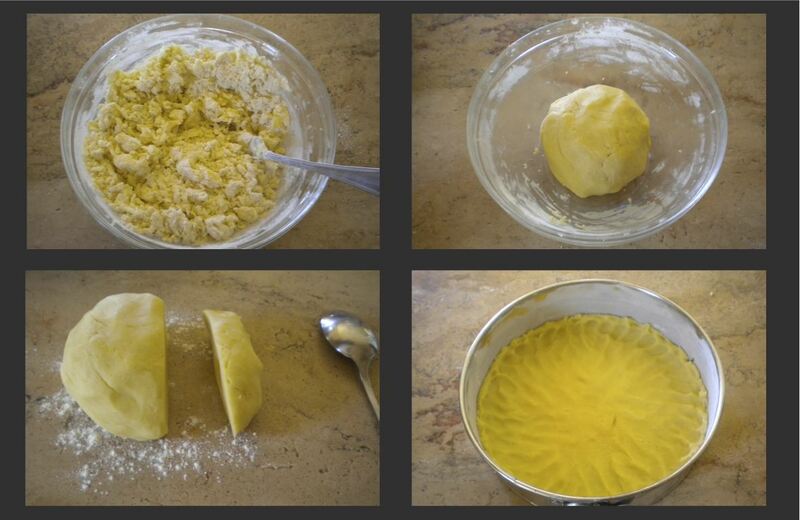 Bake the crostata for about 40 minutes at 356° F (180° C). This entry was posted in Recipes and tagged cake, Crostata, crostata di susine, dessert, plum tarte, recipes, susine by RC. Bookmark the permalink.